It is with humble acceptance of God’s will that we announce the promotion to glory of Hannah Wangari Njuguna on 9th April 2019. She hails from Kihenjo Village Kamburu Location. 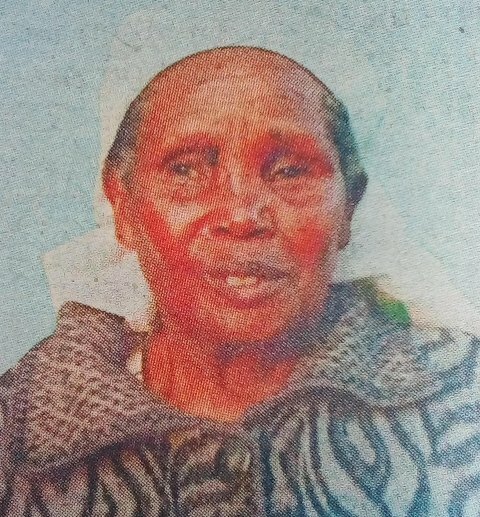 Wife of the late Meshack Njuguna. Daughter of the late Kamara Kiarie and the late Wangui Kamara. Sister of the late Muiruri, the late Kinyungu and Njoki Kamara. Mother of Patrick and Jane Nyoro, Wangui and Wahothi, Wanjiku, Njoki and Ngumba, Wanjiru and Maina, Charles Njuguna and Esther Mbugua (Njuguna and Partners Advocates) and Njeri. 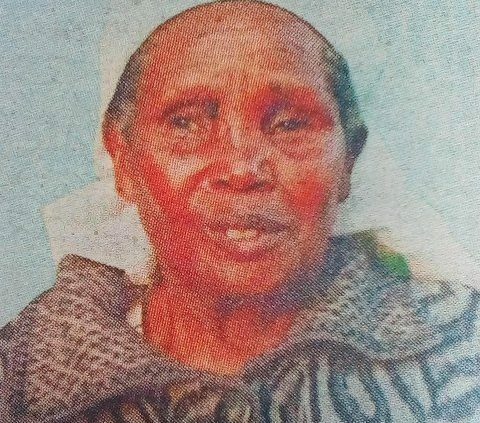 Step-mother of Peter Mbugua (PF-Muthaiga), Wangui, Gathoni, Gichuru and Njenga. Aunt and Grandmother of many. Family and friends are meeting daily at St. Joseph hall at Our Lady of the Rosary Catholic Church Ridgeways, Kiambu Road for burial arrangements. The cortege leaves Mukoe Funeral Home on Tuesday 16th April, 2019 at 9.00am. Funeral service will be held on the same day at Kamburu AIPCA Church at 11.00am. 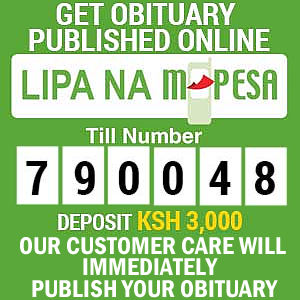 Burial follows thereafter at her home in Kamburu Location. Mum, Aunt, Cucu, we love you but God loves you most. Rest in peace, till we meet again.